The Buffalo Bills will host one of the draft's premier talents next week on a visit. 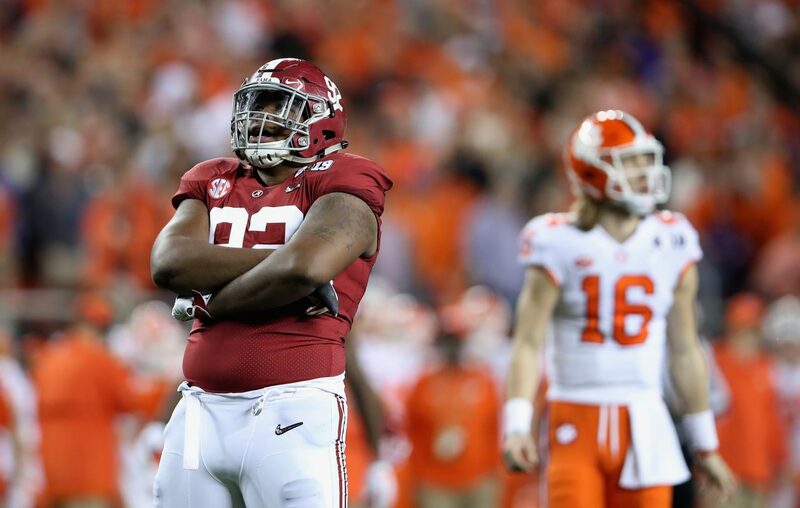 According to a report Friday from ESPN's Josina Anderson, Alabama defensive tackle Quinnen Williams will make a pre-draft trip to Orchard Park. DT Quinnen Williams is scheduled to visit with the #Bills, #Giants & #Jets next week, per source. If the Bills want to get Williams on draft night, they might have to move up in the first round to do so. He's thought to be a top-five talent -- a recent mock draft from CBS Sports' Pete Prisco has him going No. 1 overall -- after a season in which he was named a first-team All-American. Williams made 15 starts for coach Nick Saban, finishing with 70 tackles, including a team-leading 18.5 for loss. He also had seven sacks and a safety. Williams would step into the three-technique defensive tackle position vacated by Kyle Williams' retirement.